We won the OMG empathy detection challenge with our friends at Alpha AI. The results are here. New paper on arXiv with Craig Macartney. New State of the Art in Speech Denoising. Weyde & Kopparti: Feed-Forward Neural Networks Need Inductive Bias to Learn Equality Relations in the Relational Representation Learning Workshop . New surprising and fundamental result on (Deep) Neural Network capabilities and a constructive solution. Our new paper on arXiv: Laibacher, Weyde & Jalali: M2U-Net: Effective and Efficient Retinal Vessel Segmentation for Resource-Constrained Environments. New State of the Art for high resolution optical blood vessel segmentation. We received the Best Poster Award for our ISMIR paper on Singing Voice Separation with Deep U-Nets. New State of the Art in Signing Voice Extraction. Our new funded transatlantic project Dig That Lick, supported by the TTP Digging Into Data challenge, started in October 2017. I gave a talk on Big Data for Music in the Lorentz workshop Computational Ethnomusicology: Methodologies for a New Field. I gave an invited talk at the CompMusic Seminar at the Music Technology Group in Barcelona on 23rd Feb 2017. Our article "The temperament police" was the most read article in Early Music in 2014 (Top Five OUP Music Journal Articles of 2014) and available freely here. I was invited to the Lorentz Workshop Music Similarity: Concepts, Cognition and Computation from 19-23 Jan 2015. We started the ASymMuS project in September 2014. 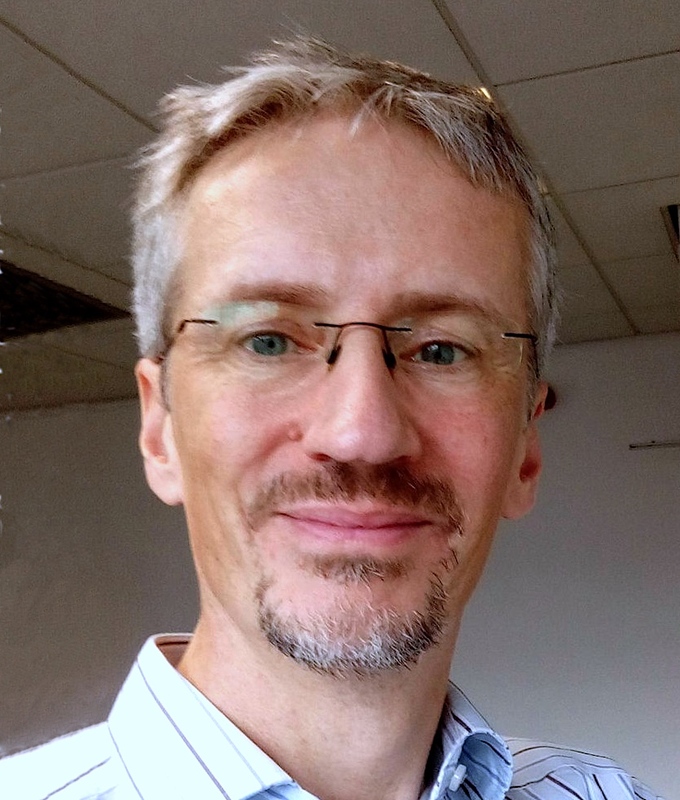 I am a Senior Lecturer in the Department of Computer Science, head of the Music Informatics Research Group and a member of the Machine Learning Group, and Senior Tutor for Research. I work on machine learning methods for data analysis with applications in audio, music, health, education and security. My latest research focuses on creating inductive biases in neural networks for rule-learning, extrapolation, generalisation, and interpretability. Before I joined City I was a researcher and coordinator of the MUSITECH project at the Research Department of Music and Media Technology at the University of Osnabrück. I hold degrees in Computer Science, Music, and Mathematics and obtained my PhD in Music Technology on the topic of on combining knowledge and machine learning with neuro-fuzzy methods in the automatic analysis of rhythms. I am is an associated member of the Institute of Cognitive Science and the Research Department of Music and Media Technology of the University of Osnabrück, as well as the Intelligent Systems Research Laboratory at the University of Reading. I am co-author of the educational software Computer Courses in Music Ear Training Published by Schott Music, which received the Comenius Medal for Exemplary Educational Media in 2000 and co-editor of the Osnabrück Series on Music and Computation. I was a consultant to the NEUMES project at Harvard University and I am a member of the MPEG Ad-Hoc-Group on Symbolic Music Representation (SMR), working on the integration of SMR into MPEG-4. I was the principal investigator at City in the music e-learning project i-Maestro which was supported by the European Commission (FP6). I currently work on methods for automatic music analysis and transcription, audio-based similarity and recommendation, Semantic Web representations for music and general applications of audio processing and machine learning in industry and science. I have received funding from the AHRC for the Digital Transformations Project Digital Music Lab - Analysing Big Music Data (DML), a joint project with the British Library, Queen Mary University of London, University College London, and I Like Music. More recently we started the AHRC Amplification Project on An Integrated Audio-Symbolic Model of Music Similarity where we apply the results from the DML. I was also engaged as a co-investigator in a project funded by Innovate UK (formerly Technology Strategy Board) and EPSRC on Advancing Consumer Protection Through Machine Learning: Reducing Harm in Gambling and am currently involved in the Innovate UK project Raven led by Tom Chen. Here is a link to my standard staff homepage. Try our game: Spot the Odd Song Out! Play our Game With a Purpose on the Web or on Facebook Sorry, our game is currently not available. Velarde, G., Cancino Chacón, C., Meredith, D., Weyde, T., & Grachten, M. (2018). Convolution-based classification of audio and symbolic representations of music. Journal of New Music Research, 1-15. Cherla, S., Tran, S. N., Garcez, A. D. A., & Weyde, T. (2017, September). Generalising the Discriminative Restricted Boltzmann Machines. In International Conference on Artificial Neural Networks (pp. 111-119). Springer. Samer Abdallah, Emmanouil Benetos, Nicolas Gold, Steven Hargreaves, Tillman Weyde, and Daniel Wolff. 2017. The Digital Music Lab: A Big Data Infrastructure for Digital Musicology. J. Comput. Cult. Herit. 10, 1, Article 2. Sigtia, S., Benetos, E., Boulanger-Lewandowski, N., Weyde, T., d’Avila Garcez, A., and Dixon, S. (2015). A hybrid recurrent neural network for music transcription. IEEE International Conference on Acoustics, Speech, and Signal Processing, Apr. 2015. Benetos, E., & Weyde, T. (2015). An efficient temporally-constrained probabilistic model for multiple-instrument music transcription. In Proceedings of the 16th International Society for Music Information Retrieval Conference (pp. 701-707). De Valk, R., Weyde, T. (2015). Bringing ‘Musicque into the tableture’: Machine learning models for polyphonic transcription of sixteenth-century lute tablature. Early Music. Wolff, D., Weyde, T. (2013). Learning music similarity from relative user ratings. In: Information Retrieval, July 2013. ISSN 1386-4564. DOI 10.1007/s10791-013-9229-0. Wissmann J., Weyde, T., Conklin, D. (2010). Representing chord sequences in OWL. In: Proceedings of the Sound and Music Computing Conference 2010. Universidat Pompeu Fabra, Barcelona, Spain, July 2010. Honingh, A., Weyde, T. and Conklin, D. (2009). Sequential Association Rules in Atonal Music. In: Proceedings of the Second International Conference on Mathematics and Computation in Music. Yale University, New Haven, Connecticut, USA, 19 - 22 June 2009. Students: for meetings, please send me an e-mail.